[Block-1] Planning commission (PC) why replace? B1: Why Monetary policy ineffective? Short term Stroke of a pen @individual ministries MoEF reforms in 100 days. Achieved >9% GDP growth-rate during 2005-07, thanks to American boom prior to sub-prime crisis, pretty much all nations of world experienced high growth. So 9% GDP did not come from Montek’s magic wand. Post sub-prime crisis, failed to evoke the “animal spirit” in Indian economy. GDP going down, inflation going up for 2008 to 2013. Reduced poverty by doctoring the BPL-line. Tendulkar line says 27 crore BPL, if we use Ranga line then 37 crore BPL. Planning commission brags reducing poverty line on Tendu’s parameters. Toothless body, can’t hold State/union/ministries/departments accountable for failing to achieve targets. Hopes that CAG =>Public accounts Committee will take care accountability part. But PAC too is pretty much toothless. Failed to implement land reforms. Faulty policies for MSME, industrialization, Factory-labour law problems we saw in GS2 MFG revision note. Office manned by Generalist IAS/IES with short tenure; panel members filled with academicians and jholachhap NGOs. Need subject specialists with international exposure like Rajanbhai. Designed CSS with One size fits all approach and a few extra crores to NE/J&K/Hill-states and LWE. But for long, it did not use pilot projects / sample testing / interaction with states. Hence, IAY, ICDS etc. programs failed to show tangible result despite pumping crores. Tried to bypass state Governments via NGO-funding, DRDA. Hence States unenthusiastic about implementing Central-schemes named after you know who. Only in 2013- reforms done like reducing # of CSS, 10% flexifund to states, direct transfer of money to state consolidated fun etc. But it’s too late. Shortcomings in planning commission => new bodies sprung up like PM’s economic advisory council, PM’s project monitering group and so on=> more brains=> more lack of coordination. Moily says NDRC good for China but not suitable for federal nation like India. Better restructure PC again by addressing above 13 bullets. Approves investment & construction projects CCI, FIPB and many other bodies @union and state level. Parent: State council headed by President of China Headed by PM. Disinvestment in ONGC, CIL etc . In short, Chinese NDRC controls pretty much everything, just like a communist unitary Government would want. Hence Moily’s criticism- NDRC unsuitable for Federal India. Problem in Environment laws so TSR Subramanium Committee, Problem in railway so Bibek Debroy Committee, problem in IPR so Prabah Sridevan Committee…..such piecemeal approach and firefighting must stop. Economic survey says create a separate Statutory body called Productivity commission”. To Review laws, regulations, processes continuously. Publish report cards of each ministry and department. Advanced economies have such bodies. Such piecemeal / firefighting approach => scamsters shift base from one sector to another, use technicalities and loopholes to get stay orders & escape. Hence we need comprehensive reform in financial rector regulators. 2011: Government setups Financial legislative reform commission under Justice BN Srikrishna. Present: dozens of acts for banking, insurance, provided fund, forward market, NBFC etc. IFC will be a single, unified financial law with precise objectives; clear-cut jurisdictions for fin.sector regulators with adequate checks and balances. SAT (SEBI kaa Baap) FSAT: Financial sector appellate authority = UFA kaa baap. Ombudsmans, consumer courts FRA- Financial redressal agency to hear all complaints. Same. But Oversee all of above. Misc. bodies: data centre, resolution corp. Present, RBI is the debt manager of the Government. = Conflict of interest. Government releases Government securities (G-Sec) to borrow money from market. RBI uses the same G-sec to control money supply = conflict of interest. Should India setup separate PDMA? 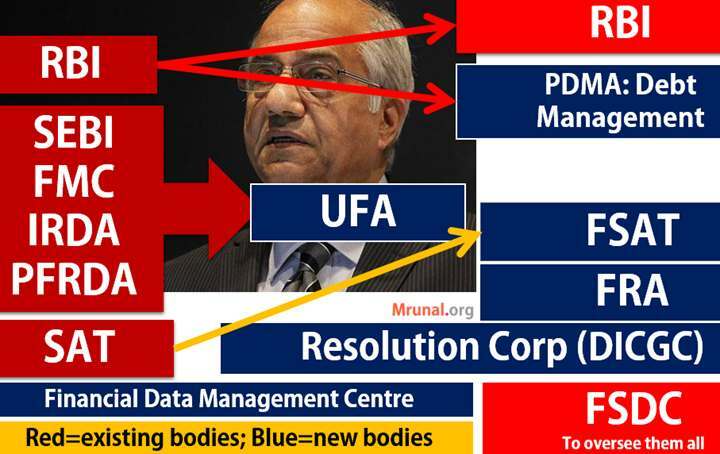 Separate PDMA can’t stop conflict of interest. Government can still force PSU and sarkaari banks to buy G-sec, because Government =largest shareholder=its chamchaa-log in board of directors. BIC to look after appointments, business strategies. Until BIC done, setup Bank board bureau (BBB) to look after board-CMD appointments. Age tenure reforms for upper Management. Result: less Government control = more efficiency in banks. But syllabus says “budgeting”. So, let’s check three reforms in “budgeting” process. Plan Expenditure = PC Planning commission. Result: Sub optimal allocation, Diffused accountability, poor return on the money invested. Solution: Budget making unified @FM, he’ll decide both plan and non-plan Expenditure. Government doubled the money spent on each child, in last 7 years. Yet as per NGO Pratham’s ASEAR report, >50% of class5 kids can’t read class2 book; >50% of class8 kids can’t do division. Every year, ministries given higher funds than last year, irrespective of achievement. Survey solution: “Feedback loop” mechanism in budgeting. After financial year is over, get an independent body to analyze ministry/Department’s performance. Government issuing more G-sec=> PSU and banks forced to buy them=> less loans/capital for private businessman. =>Government has to relax FDI=> Kiranawallaa unemployment, desi-artisan unemployment. Government spends too much on Populist scheme=> infra sector finance left to PPP=> higher tolls, higher light bills=> purchasing power down=> unemployment / pink slips in private sector. Government begins monetizing deficit i.e. RBI ordered to print new currency notes to fulfill Government’s debt=>rupee’s real value eroded=>inflation =>RBI has to increase repo rate to curb inflation =>expensive home/business/vehicle loans=> less purchase=>unemployment/pink slips in private sector. Monetizing deficit=>inflation=>Real interest becomes negative if you invest in bank/sharemarket- your savings will be eroded. Junta invests in gold=>higher CAD=>expensive crude oil => expensive petrol/diesel=>high inflation=>real interest become more negative =>vicious cycle. So, what has Modi done to reduce fiscal deficit? Pro: less Government control over board= more efficiency. Overstaffing, lossmaking gone. Anti: private sector can’t cater poor, Government earning declines, selling assets to fillup fiscal deficit is unhealthy. Permitted with 91’s Industrial policy. Target 40k cr but hardly 16k made because file-pendency and luckwarm response in stock-exchange. Later took “CPSE-ETF” solution. i.e. 10 CPSE’s shares given to Portfolio manager Golmand Sach. He issues New fund offer of Rs.10 each. You can buy and re-sell it @stock-exchange, hence called “Exchange traded funds”. When petrol, diesel, kerosene sold at below international price=> OMC losses (under-recovery)=>Government gives them oil bonds as “subsidy payment”. 2010 Kirit Parekh Committee says stop. But LPG, Kerosene…administered prices continued. Diesel deregulation: Jan’13. 50 paisa increased per month. Finally at deregulated @Oct 2014. Jan 2013: diesel price increased by 50 paisa each month. Oct 2014: market linked. If international price go down, diesel to be cheaper. Less subsidy burden=>less fiscal deficit=> Soverign credit rating improves=>more FDI, FII to India. Under recovery gone=>OMCs can do Biz.expansion, give better service. Junta to buy Fuel efficient car, no more blind purchase of diesel vehicles because it was cheap. 2014: Selected districts: Modified DBT. Don’t need Aadhar. Even bank account no. / LPG customer id sufficient. Rs.568 will be transferred. Additional reform underway: Government to give LPG subsidy on per kg basis rather than per cylinder basis. Will help even migrants and slum-folks who buy small sized cylinders. At present small cylinders don’t get subsidy. Result: 10% reduction in non-plan => ~1.2 lakh crores saved. People don’t have many investment alternatives. Commercial banks have high deposits. Repo rate change doesn’t affect their money supply immediatly. Unorganized money market; Shroff; lack of financial inclusion. RBI can’t control their interest rates. Then how reform monetary policy? Ans. implement Urjit Patel Committee report. sorry, too much workload, no time to change Chindu’s photo. Strategy=keep repo higher than CPI. 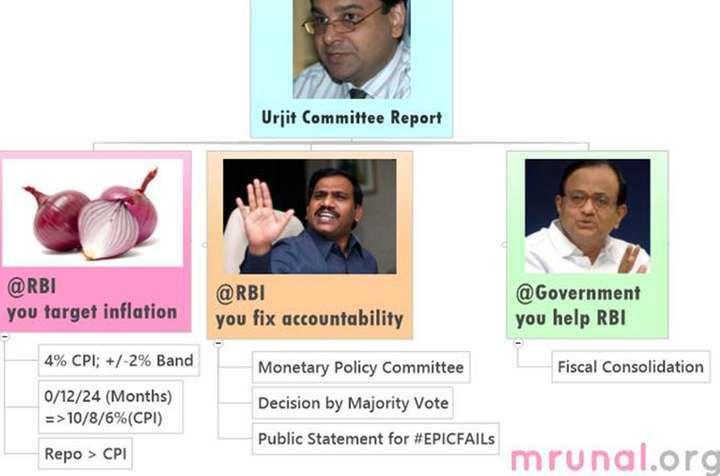 Setup monetary policy Committee (MPC) headed by RBI governor, 3 insider (RBI official) and 2 outsider members. Decide policy by majority voting. Issue public statement in case of failure. Implement Vijay Kelkar fiscal consolidation report. Kept Repo unchanged to 8%. Although reduce SLR from 23% to 22% => banks left with spare money to lend to private sector=>GDP growth. Agreed to target CPI: 8% by Jan’15; 6% by Jan 2016. Oct 2014: CPI down to 6.45; meaning its working. External challenges: 60% chances of El-Nino, Geopolitical problems in Ukraine, Syria, Iraq & their possible impact on crude oil prices. why fin.inclusion important for poverty removal=> check GS1 revision note. Fin.inclusion attempts in past: Nationalization, RRB, Coop banks, BCA, Swabhiman, Swavlamban, MFI (24%), No-frills account, 25% rural branch rule, BMB, Bandhan, IDFC. Still 49% families- no account; 55% rural dalits borrow from money lenders @34% rate. 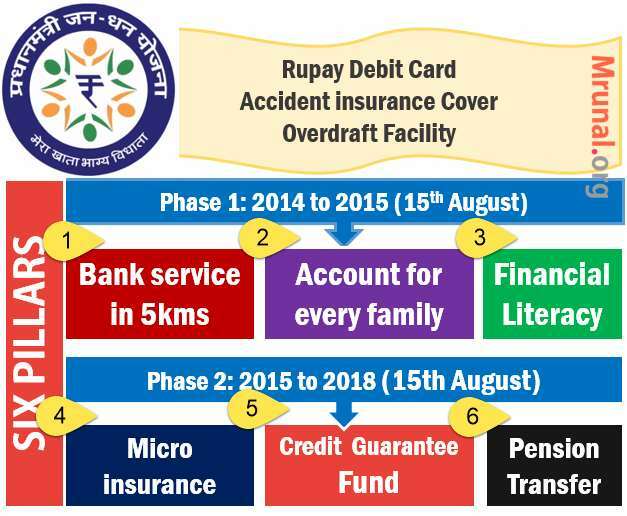 2.Each family 1 account, rupay debit card, 1 lakh accident cover, 5k overdraft if good credit history. 3.fin.literacy campaign; 4.credit guarantee fund to cover losses 5.sell micro insurance product 6. DBT. Banking Correspondence Agent model: 2% commission, misconducts by RBI report. 47% BCA untraceable. Hawala via smurfing (sending money overseas in small units) and money mules, fears Rajanbhai. White label BCA (to tie up with multiple banks). Affordable Investment and insurance products for poors. Bank access within 15 minutes; Payment banks, Small banks, wholesale banks. Rajanbhai wishes to launch these banks for greater financial inclusion under Nachiket’s report. Take deposit, give loan but small area of operation. 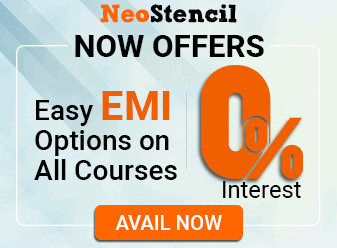 No fixed deposit, no loans. Focus: Payment/remittances for poors, migrants, unorgnized sector. TSR Subramium panel to review green laws=> long term reforms when report comes. More points can be added by throwing statistics and schemes from 100 day reports by various ministries. but revision cost-benefit not that good. Producer’s price index to replace WPI. To replace WPI. Agro. Prices will be difficult to track though. MNREGA+Rising income= more demand fruits, veggies, edible oil, milk, egg, protein food. But Government keeps cereal MSP high for farmer vote bank, cheaper electricity and fertilizers=> more farmers grow cereals. This Supply demand mismatch=food inflation from non-cereals. FCI open ended procurement but lack of shortage capacity=Rotten grain. Leakages in PDS=blackmoney + inflation. Decentralized procurement: instead of FCI, states themselves procure and distribute PDS. Started in 90s but only few states adopted. Existing: Private.entrp. guarantee scheme+ Grameen Bhandaran + 100% FDI in warehouse, warehousing receipts to get bank loans; offload excess wheat/rice in open market to curb prices. @PDS: Food stamps/DBT to poor= no more leakage or hidden hunger; allows PDS shows to sell other items to keep profit & reduce hoarding, online monitoring of stocks etc. @Retail: Reform APMC act. Allow- private years, farmer-SHG to direct sell, create national market for agriculture (law), online info on pricing, no more market fees; stable export policies. lot More bolbachchan can be done but everything boils down to points given above. Nutrient based subsidy- on weight of macro/micro nutrients. Farmer gets tailormade fertilizer as per soil requirements (using his soil-health card from budget 2014). EPICFail because: Urea not covered, NBS subsidy not given quickly to companies.=> excessive urea use=> soil NPK ratio disturbed; subsidy bill increased to 70k+cr. ; higher import=CAD; smuggling. Mill owners need to pay SAP to farmers=>losses because retail sugar price declining. Mill owners in arrears: union giving interest free loans to them. (SEFESU scheme). Ranga. Committee says stop SAP & adopt FRP. Easy and clichéd topic but its bullets can be used as ‘fallback line’ when “out of content” for a generic question on poverty-hunger-issues. खाध सुरक्षा कानून से किसको क्या मिलेगा? Preg: Free meals, 6k installment; Kids: free meals, take home rations. Deadline: Oct14=>extended to April 2015, because very few states implemented, because beneficiary identification problem. SECC survey yet to complete. Full implementation: Haryana, Raj, Punjab total 5 states. Hidden Hunger: only carbohydrates given but no vitamins and micronutrients. Global hunger report says >50% Indian women and children have anemia. Solution? EcoSurvey says give food stamps, let’em buy whatever nutritious food they want. Jene dreze counters- they’ll buy Desi liquor. 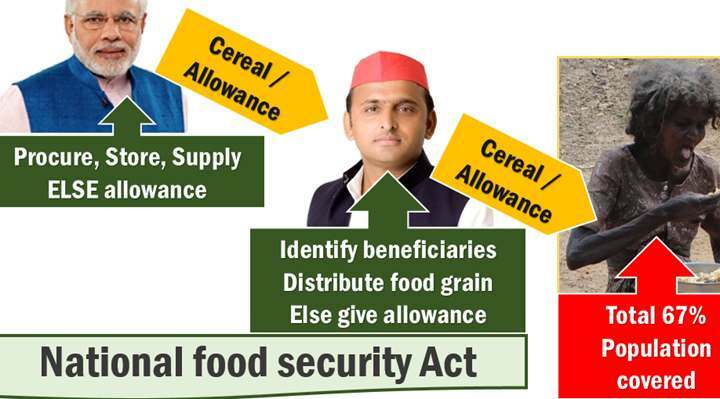 Fiscal deficit: 1.15lakh crore burden=> 88k given to food security Act. GPS truck-tracking, CCTV…no. Parliament Committee recommended this but not implemented in NFSA. Identifying beneficiaries biggest problem. SECC incomplete. Donot confuse food act with Food security Mission: Under Agro ministry. Increase production of 5: rice, wheat, pulses, millets and commercial crops. 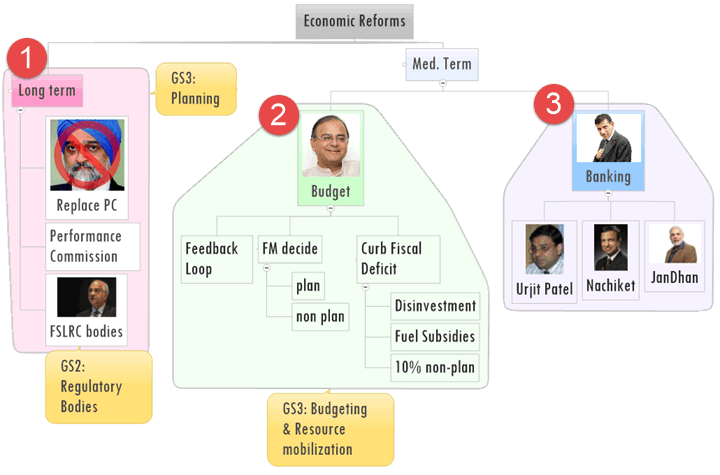 Next revision article: GS3 Economy- Infrastructure and Black money. Hey Neel, Mrunal is indeed habituated to it (outdoing himself time and again). What say? The Government today discussed the issues concerning the Civil Services Aptitude Test (CSAT) with leaders of various parties in both the Houses of Parliament. The meeting was convened by the Parliamentary Affairs Minister Shri M.Venkaiah Naidu in pursuance of the assurance given by the Government during the last Budget session of Parliament. Home Minister Shri Rajnath Singh and Finance Minister Shri Arun Jaitely, Minister of State in PMO Dr.Jitendra Singh, Ministers of State for Parliamentary Affairs –Shri Rajiv Pratap Rudy and Shri Mukhtar Abbas Naqvi besides leaders of 26 parties represented in both the Houses of Parliament. Shri Rajnath Singh and Shri Venkaiah Naidu said that the CSAT issue is a sensitive one and the Government would like to have the benefit of considered views of all parties. A detailed presentation was made by Secretary (DoPT) on the origin and evolution of the civil services examination over the years being conducted every year by the Union Public Services Commission. Dr.Jitendra Singh sought the views of different parties on five proposals. This followed expression of views by leaders of various parties, who said they need to consult their party colleagues in the sensitive matter. Several leader complimented the Government for its approach in the sensitive matter. This is just for providing info on the latest developments. Please carry on with your preparations as usual-Do not waste time on speculation on which one of the 05 proposals will be implemented. Only time will tell how the things actually shape up. It may take up to two-three months for the Govt to decide and for dopt to issue the clarification/notification on the changes in prelims.. i.e. if any changes are there at all !!. Do u hv any idea how many bills are brought to the parliament and how many of them bcm an act? a simple meeting and u people start creating panic. If u dnt want 2 stdy atleast let others 2 do so. jab notification upsc website pe dekhna tab yahan copy paste karna. Thank you sir for such a lucid explanation. Chaa Gaye sir aap…..thanks a lot!!!! How modified DBT will reduce LPG subsidy? modified DBT = old DBT minus Mandatory Adahar. Nothing new. DBT is beneficial in terms of direct transfer to an individual account.In that sense bringing transparency and tractability of the subsidy. Better targeting of the subsidy would be possible after implementing Direct benefit transfers. At present, even Amitabh bachchan and mukesh ambani are getting LPG at the same subsidised cost at which a rural poor gets. So, DBT will allow tranfering the subsidy amount directly into the bank accounts of targeted junata and further LPG prices will be decontrolled and linked to the market prices. Thank you again for your crisp and clear articles. You can also add links to the main discipline articles along with revision notes. Ya indeed I also want to know why Mrunal not sitting in this exam if otherwise eligible..You are really doing excellent job..serving the mankind…A big thnks and ha if I could make it this year to IAS…A big gift for you..pakka..
What is the logic? When the GDP is up, the credit should not go to planning commission but when the GDP is down the blame should go to planing commission. 2. Everybody agrees that poverty has declines though the percentage is debatable so planing commission should get the credit for that. You should read on the hindu rate of growth to know why PC has been a farce! U r doing amazing work….this revision sseriousis like boon for my mains reviosion…..Plz continue with more areas…..I’m in love with it…..writing vajiram test series with this n focussing on optionals has become so easy…..thanx a lot for everything. Mrunal sir there is some news from ‘the hindu’ which highlights, that actually poverty has reduced in the country, whether you apply ‘tendulkar’ formula or ‘rangrajan’ method. They both compared year 2009-10 to 2011-12. As per Tendulkar line- 2009-10 fig. is 35.4 crore and in 2011-12, 26.9 crore. As per Rangrajan panel- 2009-10 fig. is 45.4 crore and in 2011-12, 36.3 crore.